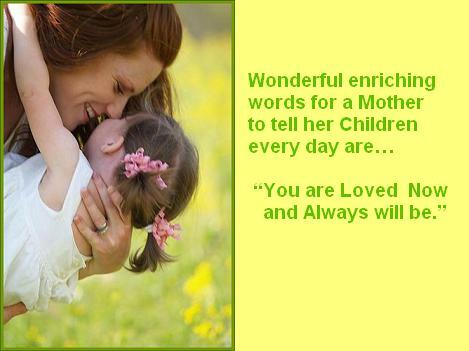 God’s Love and Blessings for Loving Mothers all around The World on your Mother’s Day and for Everyday. Do you see your Reality as a Mom reflected in these Pictures and Quotes? 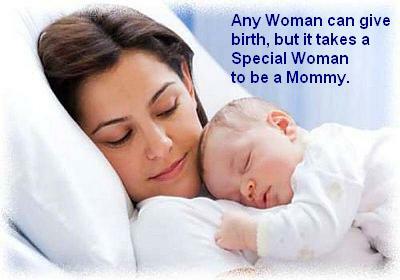 and those in the Power Point too, if so than your Children are Greatly Blessed to have a Mom with a Loving Heart..
For more Reality of your Loving Mother’s Heart, please Click the Link below to the Power Point about A Mother’s Love….. This entry was posted in Messages From The Heart and tagged A Mothers Love, A Mothers Sacrifical Love, Blessings, Children, God's Love in Mothers, Happy Mother's Day, Love, Love is an Action not just a word, Mothers Love, Mothers who give without counting the cost, Remembering Special Mothers, The Heart of a Mother. Bookmark the permalink. Thank you Lynn for your uplifting Encouragement and yes Moms with Loving Hearts are indeed very Beautiful even those who have no Children of their own. I had a Teacher who Loved and encouraged me, it was why I excelled at High School even though I was Dyslectic and everyone else had given up on me but of course God hadn’t either and He motivates Loving Hearts to Love in Words and Actions. Thank you Jalal for your Uplifting Encouragement and may God Bless you today and everyday. Jalal I was wondering when did you come to Heart Repentance and Accept Jesus as your Lord and Saviour?, I hope you don’t mind my asking, it’s always a Joy for me to hear a Christian Brother or Sister’s Testimony but please feel free not to answer if wanted. Anne, My wife and I celebrated our 50th. Wedding anniversary on 4/30/ in Cana where Jesus turned the water to Wine. We were there from 4/21 to May 1st. We lived 10 glorious days in Jerusalem. Sounds like you had a wonderful time Jalal on your 50th Wedding Anniversary, Congratulations and God Bless you both Greatly. THank you from the heart. Hilda and l had wonderful time .Love and regards. 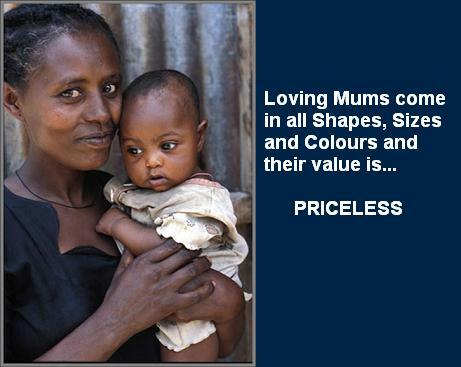 A Loving Mother’s Heart never doubts God’s Love and Goodness. Happy Mother’s Day to All Christian and Jewish Mother’s All over our Earth with our ONE True GOD ( YAHWEH and HIS SON Jesus-Yeshua Christ ) CREATED and GOD BLESS All These MOTHER’S!! Hallelujah Maranatha and Shalom ( Peace ) All Mothers!! Please Pray for all our Sisters and Brothers in Christ Jesus-Yeshua and our Messianic Jewish Sisters and Brothers in Christ Jesus-Yeshua and our Devout Jewish Sisters and Brothers Everyday!! 🙏 💕 “Pray Without Ceasing.” ( 1 Thessalonians 5:17 KJV )!! Good to hear from you Kristi Ann and yes God’s Blessings to you and all our Brothers and Sisters in Christ Jesus. We know because the Scriptures below confirm that we are All One in Him, even though as Men and Woman we have different God given Roles. But He does not have any Favorites and He knows those who are His from Eternity regardless of where and when we are Born, He knows our Hearts and not one of us will be lost, He protects our Souls, how good is that. Blessings also for all Mothers everywhere, even for those who don’t have Faith yet but we ask that their eyes will be opened to God’s Reality, it will of course always be their choice to accept God’s free gift of Salvation in Jesus Christ, just as it was for us and is for all Mankind but may they know in their Hearts that He is Love and all good things come from Him including their Children and than seek after Him passionately and yes they will find Him to be Loving, Faithful and True to His Word as we have also found. 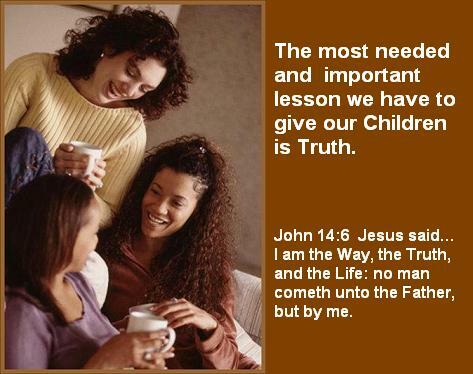 Christian Love Kristi Ann and God’s Blessings Now and Always – Anne. Much Love and Blessings to you too Kristi Ann, Now and Always.